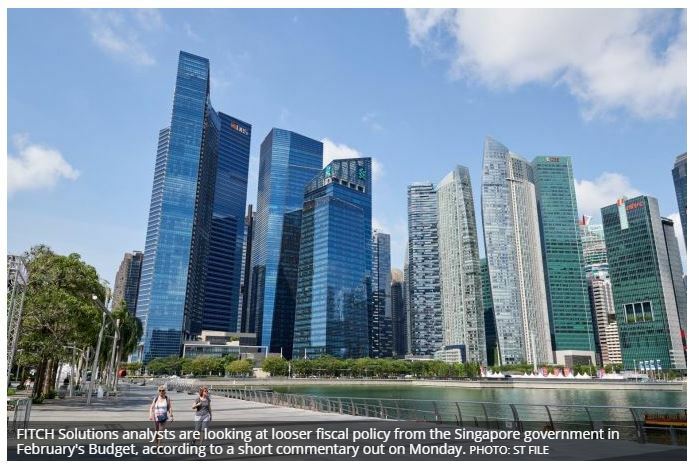 FITCH Solutions analysts are looking at looser fiscal policy from the Singapore government in February’s Budget, according to a short commentary out on Monday. Citing an impending global slowdown and the pressure on the Republic’s export-driven economy, the report said that the rising external downside risks “are likely to prompt policymakers to adopt policies to cushion the economy through domestic-oriented initiatives” such as public infrastructure spending. This could include bringing forward rail and other redevelopment projects, as a softer public works pipeline was seen as a drag on the Singapore economy and its struggling construction sector in 2018. Such infrastructure works have already been put on the table for the coming decade, the report noted. “As public finances remain healthy, there is room for the authorities to provide some support to the slowing economy,” the Fitch macroeconomic research team wrote. With the next Singapore general election due by April 2021, the Fitch team said that the upcoming Budget statement could hint at whether the People’s Action Party (PAP) will call an early vote in 2019. “Should we see fiscal transfers to a large proportion of Singapore citizens surprise aggressively to the upside, this would suggest that the PAP may be looking to call elections in 2019 as it has already shaped up the fourth-generation leadership in 2018,” said the report, which noted that the 2015 Budget posted a primary balance deficit on the back of rebates for middle-class households. The 2019 Budget will likely contain a social spending focus, including more details on the Merdeka Generation welfare package for voters born in the 1950s, the analysts added. Meanwhile, Fitch Solutions forecast a primary surplus of 0.6 per cent of gross domestic product for the previous Budget, against the official expectation of a deficit of 1.6 per cent, as the analysts pointed to the government’s track record of doing better than it estimates. The 2018 Budget had originally projected a primary deficit of S$7.34 billion and a basic deficit of S$9.16 billion after special transfers, excluding top-ups to endowment and trust funds.